I liked them until I noticed the old primary logos on the sleeve. They just look very out of place there. Gorgeous. @chrysleraspen08 is right that the little historical logos on the sleeve are odd but I'd still take one. I hope they auction them off. That S is so big. Why are the helmet and sleeves yellow? Some of the CHL designs over the passed few seasons have been disgusting. Ehh. The stars look like they were placed from a different logo and the 20 has a weird sideways drop shadow. I'm assuming the one big star is for their Memorial Cup championship and the three smaller for their WHL championships. As per the 17-18 thread, for some reason the ICE (which I believe the team decided is supposed to be capitalized like REDBLACKS) decided not to throwback to their own history for their 20th anniversary, but instead to the Cranbook Junior A team they forced to fold when the Ice moved there from Edmonton. Pretty sure Everett said those "E" jerseys were a one-season deal and would be returning to their previous jerseys for the 2018-19 season. 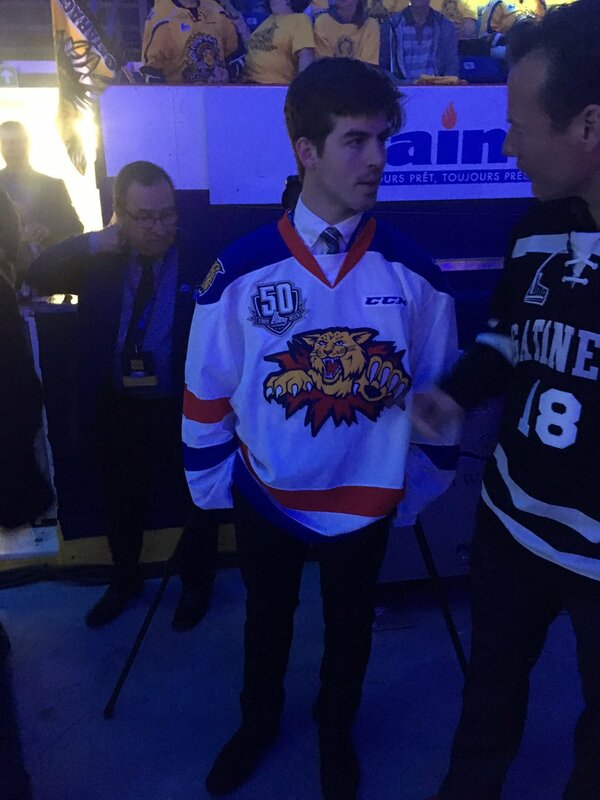 The new QMJHL 50 patch is huge! No All red jumpers is strange. It probably doesn't need to be on the back since it is on the front, but I get why it's there. What I don't get is why the Titans have 2 Memorial Cup 100 patches, one on the sleeve and the other on the front. It's also stupid that the Memorial Cup 100 patch has Mastercard on it. What should have happened was all the teams got rid of the 100 patch and simply replaced them with the Regina Memorial Cup patch instead. 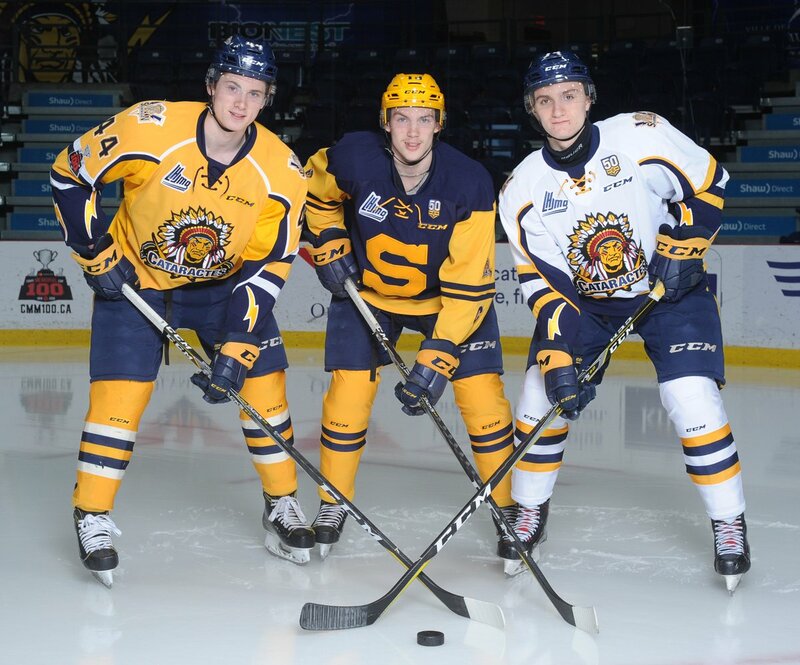 It appears Moncton has quietly unveiled a new Jersey? That or I haven't been paying close attention the past year. Haven't been able to find anything online about it being either, not even them saying at all its a new jersey. The shoulder patch is new as of last season, updated version of their alternate logo.